8. As she began her official summer residency at Balmoral Castle, Queen Elizabeth II of the United Kingdom wore the cap badge of the Royal Regiment of Scotland on Monday to inspect the regiment's guard of honor. 4. The Spaniards weren't the only royals in Mallorca this week; Queen Silvia and Crown Princess Victoria of Sweden were there to attend the wedding of Helena Christine Sommerlath, Silvia's niece. 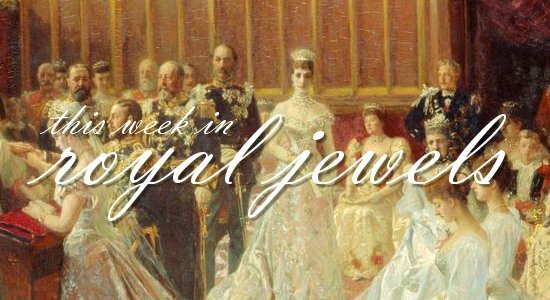 Silvia repeated the multicolored pearls and gown that she recently wore in Germany, while Victoria wore her diamond and white gold earrings from Kreuger. 3. In Salzburg on Sunday, Princess Gabriele zu Leiningen wore glittering statement earrings to see Aida at the Opera Festival with her son, Prince Aly Muhammad Aga Khan. 2. 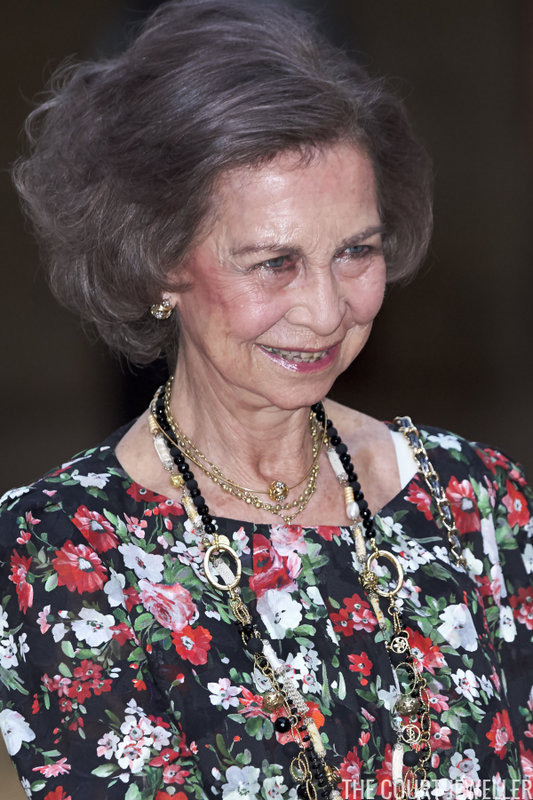 Also attending Aida on Sunday was Princess Ursula of Bavaria, who wore her impressive multi-stranded pearl necklace. 1. And one final glittering guest from Sunday's opera in Salzburg: Princess Firyal of Jordan, the former sister-in-law of the late King Hussein. She gets my top vote of the week with her oversized hoop earrings and a glittering choker necklace.